Got a passion for making magic out of metal? Welding could be an awesome career choice for you. Not only is welding a great way to make money while experiencing a wide variety of workplaces, it could also give you the opportunity to set up your own freelance business offering your services through your own company. Once you’ve built up experience and have the confidence necessary to go solo, opening up your own welding business could be your ticket to financial freedom. Just make sure you have these essentials in place first. Make a plan for tools and materials. The foundation of your welding business will be what you carry around every day with you in your truck. The truck may be the first purchase, but you’ll need to fill it with plenty of must-have tools, safety gear, and machinery if you want to be able to offer a profitable array of services to your would-be clients. Your welding machine will probably be one of your most expensive and important purchases, and the type you buy will depend on the form of welding you offer as an expertise. Aside from the machines and tools, you’ll also need a contact for steel supplies brisbane so you always have reliable materials to work with. 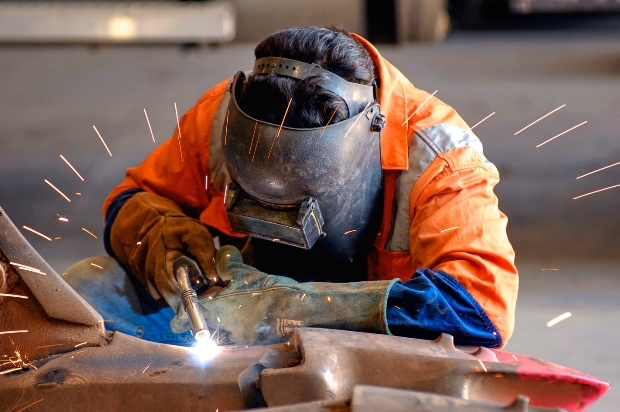 There are plenty of welders out there who’d love to turn their talent into a fully-fledged independent business, but just can’t get it off the ground because they don’t have the start-up capital. Unfortunately, you need a bit of money to start making money. That cash will go into things like the afermentioned tools and material costs, but they’ll also pay for your marketing, your transport, and the financial means to tide you over until your business begins to make a profit. If self-financing isn’t an option, you can start searching for investors to help you out, a business partner with some capital available, or start saving to make your dream a reality. Welding without proper training and licensing is a recipe for disaster. This is a job that can be incredibly dangerous if you don’t know what you’re doing, and your business certainly can’t succeed if it doesn’t have a trained and qualified welder doing the hard work. If you’re planning to start a welding business as the owner or manager but don’t plan to do the welding yourself then you won’t need that licensing for yourself, although strong knowledge of the industry, how the job works, and what constitutes good quality work will serve you well. If you’ve put up plenty of flyers and set up your social media pages but are struggling to attract much business, you need to do some footwork yourself. Approach businesses that you know require welding to keep their work running. This could include local construction businesses and contractors, farms, electricians, or any other companies that require some metal work from time to time. Stop by to introduce yourself, leave your business card with them, and make a great first impression so they’ll be sure to call you the next time they need welding work done. If business cards aren’t making a strong enough mark, consider using other freebies like pens, fridge magnets, or a brochure. The Danger of D.I.Y - How Safe Is Your Home? Could Ripple Transform the Global Payments Industry? Should I Go With an Insurance Broker for Public Liability Insurance?